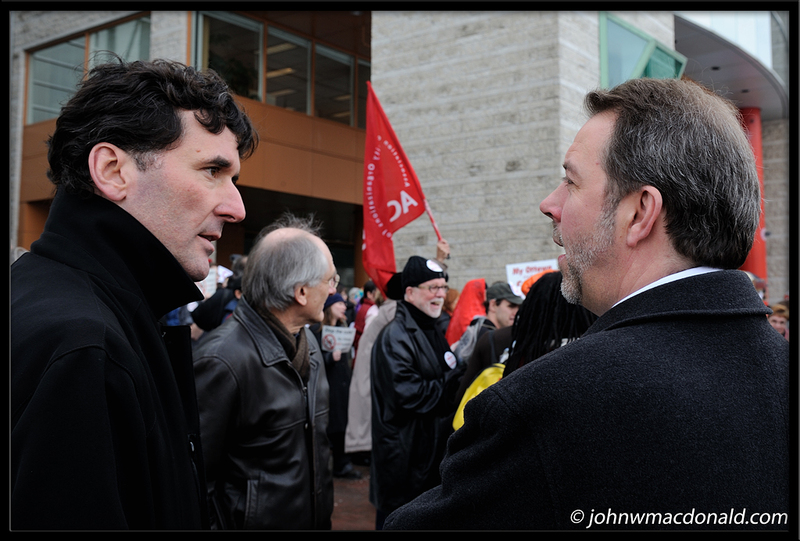 Paul Dewar and Julian Armour engage in a conversation after the "Stop the Cuts' presentation to Ottawa city council, 1 December 2008.
gosh i didn't even see you there. you sly photographer you. Yes, I went to support the festivals in Ottawa. No festivals equal no photos. Hope the city councillors get their heads out of their collective a$$e$.